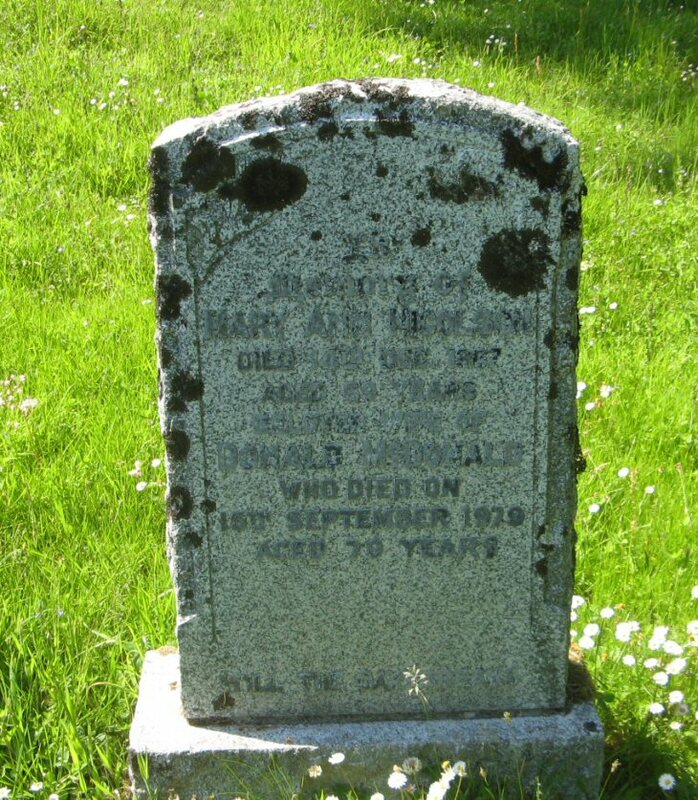 Skye Gravestones | Mary (Nicolson) & Donald McDonald. Mary (Nicolson) & Donald McDonald. In/memory of/MARY ANN NICOLSON/died 14th Dec. 1967/aged 69 years/beloved wife of/DONALD McDONALD/who died on/15th September 1979/aged 79 years. Picture Added on 08 January 2014.